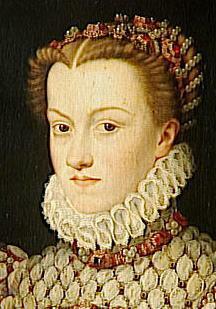 Eleonora de’ Medici also known as Eleonora of Toledo was the first wife of Cosimo I de’ Medici. She was the second daughter of the Viceroy of Naples, Don Pedro di Toledo, Marquis of Francavilla, the Emperor Charles V’s senior lieutenant. 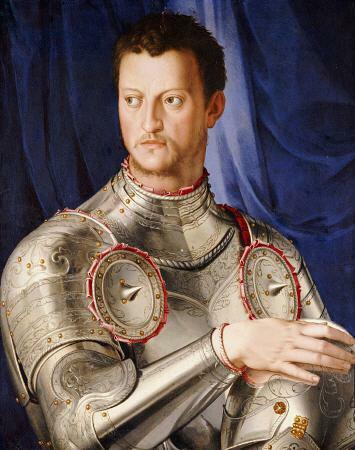 In 1539 Cosimo I married her as part of his policy to strengthen his connections with the Emperor. 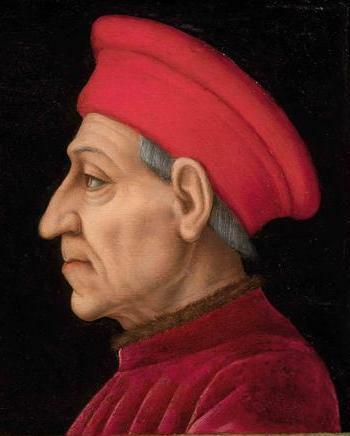 The union appears to have been happy and resulted in 11 children, two of whom eventually succeeded to the Grand Duchy of Tuscany: Francesco I de’ Medici, on Cosimo’s death in 1574, and Ferdinando I de’ Medici in 1587. Spanish by birth, and notably pious, Eleonora retained the influences - and language - of her upbringing throughout her life. Her physical beauty is attested to by a considerable number of portraits by Agnolo Bronzino. An imperious woman of considerable intelligence, Eleonora was passionately interested in gambling, despite her deeply religious nature. 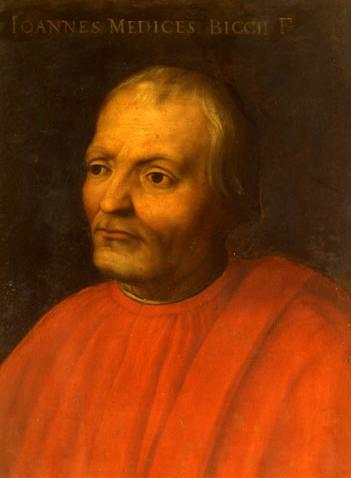 Once settled in Florence, she demonstrated great business acumen and was instrumental in enlarging the Medici fortune by astute dealings in land and property. 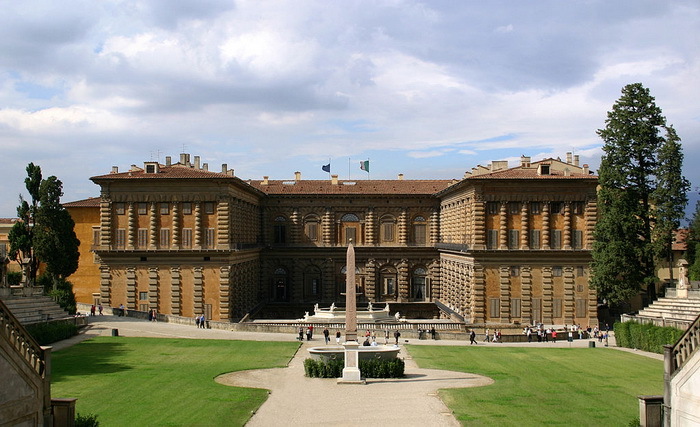 In 1550, for example, she bought the Palazzo Pitti, which then became the official Medici residence in Florence. 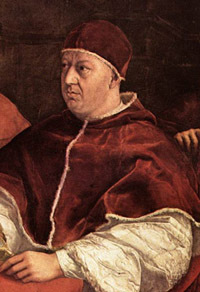 According to Vasari, it was Eleonora who arranged for it to be enlarged and for the redesigning of the land attached to it (now the Boboli Gardens). As a patron, Eleonora embraced both charitable causes and the arts, although, according to Benvenuto Cellini, she was as autocratic and capricious in this respect as she was in most other matters. She was closely associated with many of the major Florentine artists of the period, including Niccolò Tribolo, Bronzino, Pierino da Vinci, Cellini himself and Baccio Bandinelli. Cellini discussed Eleonora’s pleasure both in acquiring and wearing jewelry - an interest evident in the Bronzino portraits, in all of which she is extremely richly dressed in heavy brocade robes liberally embroidered with pearls, for which she had a particular passion. 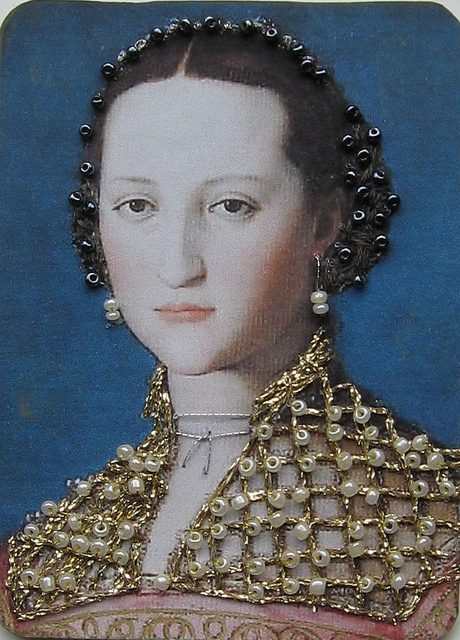 The project with which the Duchess is most closely associated is the chapel bearing her name in the Palazzo Vecchio, Florence, which Cosimo commissioned Bronzino to decorate. 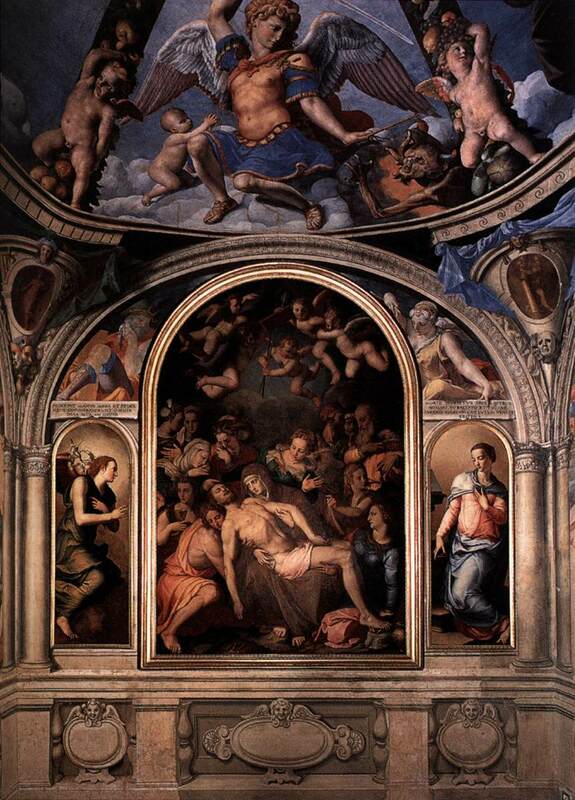 The small private chapel, frescoed with scenes from the Life of Moses (1540–1545), is a major work of Florentine Mannerism, and perhaps the most complete extant indication of Eleonora’s own taste.Bronzino’s altarpiece, a Lamentation includes an idealized portrait of Eleonora in a prominent position within the narrative. 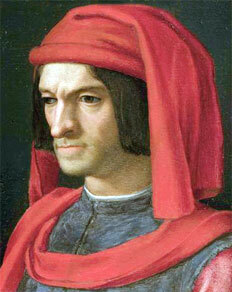 She was also involved in the ‘Elevati’, a literary academy founded by her husband in 1547. The poet Laura Battiferri (1525–1589), who, in common with Eleonora, was influenced by Jesuit thought, dedicated the first publication of her poetry to Eleonora in 1560.